Free advice on Learing to Ride. 1. Take Lessons at a council Approved Riding School. 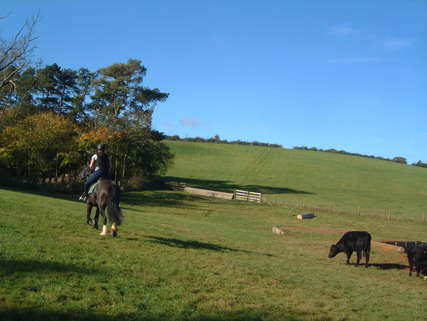 a friend offering to teach you to ride may mean well but the horse will not be used to novices and the friend will probably have forgotten how much you need to learn just to do the basics of start, stop and steer. 2. Check that the school has an up to date council license. If it is currently ABRS (Associationof British Riding Schools) or BHS (British Horse Society) approved it will have a licence. Anyone operating without a licence is operating illegally and will not have the necessary insurance, it is a condition of all public liability insurance that the establishment is council licensed. 3. Ring as many schools as you like for their advice free of charge. If you like the sound of the school it is also worth visiting to look round. The horses should look safe and sensible and the yard should be clean and tidy. The atmosphere should be friendly and welcoming. If someone is not happy to give you advice or isn't keen for you to visit the yard take your hard earned cash somewhere else. 1. Are you council licensed ? for reasons above. 2. What age do you start riders ? At Turpins Lodge we take riders from four years upwards. 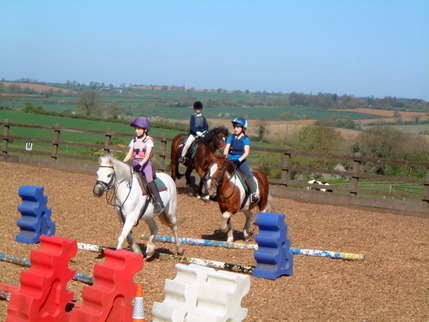 They can learn how to ask the pony to start, stop and steer but advise that they may become bored with weekly lessons before they are ready to move onto the next stage, learning to canter, at a minimum of 6 - 7 years. 3. Do you have a size limit ? All schools have a weight limit depending on the horses, so it is worth checking that you do not exceed this. Our weight limit is 15 stone. 4. How do you organize your lessons ? Lessons should be structured so that different abilities of rider are in different groups. 5. Price ? How much are lessons and what methods of payment do you take ? Ask about deals for booking a course of lessons. For more news sign up.